Find the Best CRM Solution! Improving customer retention rates, customer satisfaction and increasing your sales by using an semi-automated software that can generate data that will help you launch a successful and ongoing marketing campaign is the area of expertise for all CRM software packages. 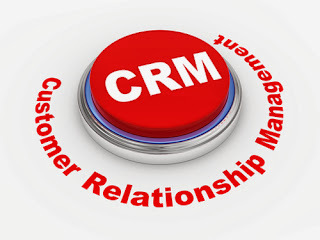 Therefore, when deciding on the right CRM program, there are quite a few things that you would need to consider. The most important is to understand how the software can help your business achieve its goals and increase its performance. There are so many options in the market. Here is short list of 3 best solutions for small business. A third option to consider is Sage Act. There are both hosted or on premise options available. The cost for the on-premise option is around $549 per license so it’s half the price from the OnContact CRM. - Email integration, daily schedules and contact account notes. - A company website, contact history, contact info pages and social networking pages are also part of the contact features. For sales and marketing, you can use the reporting options, letterheads, mailing labels, auto email solutions, and real time alerts. There are also online tutorials and FAQ pages, as well as support over the phone or online. - Email integration and web hosted solutions. - A daily to do list and tasks list. - Contact and account notes. - The ability to access via mobile devices. - Remote synchronization and calendar integration. - Dialing capabilities are also available. The software also features a number of marketing tools, including letterheads, auto email, and real time alerts. Tutorials, a help and FAQ section, phone and online support are also available. Customers also get a 30 days free trial so that you can test the software and see if it is the way you imagined it. With a bit lower price, at $49.95 per month per user, you can use OnContant on the cloud. You also have the option to have it installed on-premise but the cost can be quite substantial since it’s $995 per user (one-off fee). So if you need 5 licenses, then the cost will be around $5,000 but one off. A bit pricey for small companies but there are no monthly subscriptions after that. Oncontact CRM includes similar features like email integration, calendar integration and contact lists. It also features remote synchronization, company websites, and contact history. You can keep track of your customer accounts, set up auto email alerts, organize contacts into groups, even set up map with travel instructions. Real time alerts and email campaigns are also available with this software. It is not as easy to use as Sales Force CRM (based on online reviews) but it does have extensive help through email, phone, and online support. With great features, and a number of sales and marketing tools, customer information features, and contact information, it is a great addition to a small business, trying to keep its customers happy. Overall, all these three options are fairly close in product features, contact features, and ease of use. What distinguishes them is the pricing, where Act! Premium is cheaper if you prefer the one-off fee, Sales Force offers a solution that is better for people who want to try a CRM software without spending a lot of money. In addition, as a small business, you should go for a software that is easy to use with low costs of maintenance. Using this criterion, Sales Force is the leader. It not only allows unlimited users, it gives you all the tools and features to keep in touch with customers, learn more about their habits, set up auto alerts, and do what it takes to keep them happy. It’s also on the cloud which means, no hardware and no server costs for your business. However, each of these CRM solutions has great features and all of them are solutions that are worth checking.